A fifth of overweight British people don’t think that they have a weight problem according to a new study, which shows Brits have ‘little understanding’ of the associated health risks. The study, by the Association for the Study of Obesity (ASO), was carried out across Europe and found that thousands of people who consider themselves as having healthy or normal weights are in fact overweight according to their body mass index (BMI). The study also found that of the 36 percent who considered themselves overweight, 21 percent were obese. Polling 14,000 people from across Europe, the investigation used the BMI scale, which calculates weight alongside a number other variables including height and age. Professor David Kerrigan advises the NHS on obesity and told the Guardian newspaper: “We’ve almost become accustomed to people being bigger, because they don’t stand out. And that’s a problem because the true medical damage that obesity causes is internal and you don’t see it. He argued that the real danger was more than just skin deep. He conceded that BMI as a measure is not perfect, but said it was the right measure for the majority of people. In March, obesity researcher Dr Sarah Jackson warned the lack of legislation around weight discrimination was sending a message to the public that making fun of fat people is acceptable. Jackson, who is based at University College London (UCL), found people who face mockery because of their size experience a lower quality of life and increased mental health problems. Previous research by her team found that people who are made to feel ashamed of being overweight are more likely to become fatter, as many turn to comfort eating. 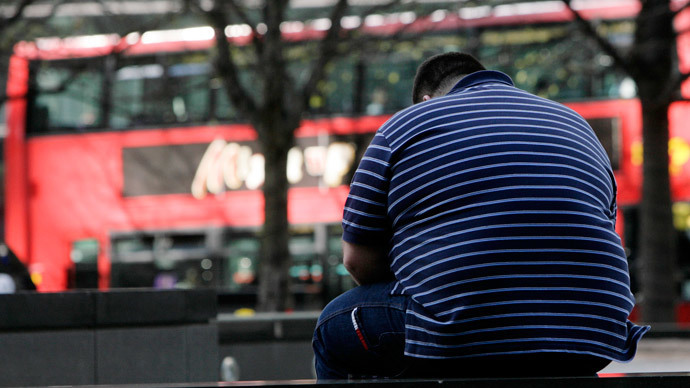 Jackson’s research suggests weight discrimination accounts for 40 percent of obesity’s negative psychological effects.